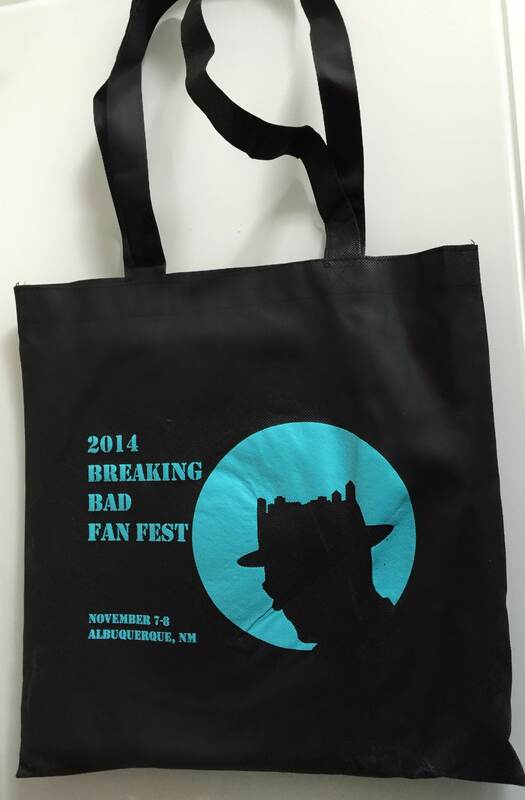 A 13in x 13in black tote bag emblazoned with the 2014 Fest logo. These were the official VIP swag bags at the Fest. We've included a few little surprises inside. Cuz you can't have a VIP swag bag without some swag. Shipping to US only. 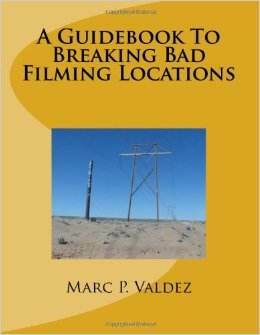 The comprehensive guide to Breaking Bad locations by the foremost authority on the subject, Albuquerque native Marc Valdez. Comes in a VIP tote bag with a few extra surprises. Makes an awesome gift. Shipping to US only! 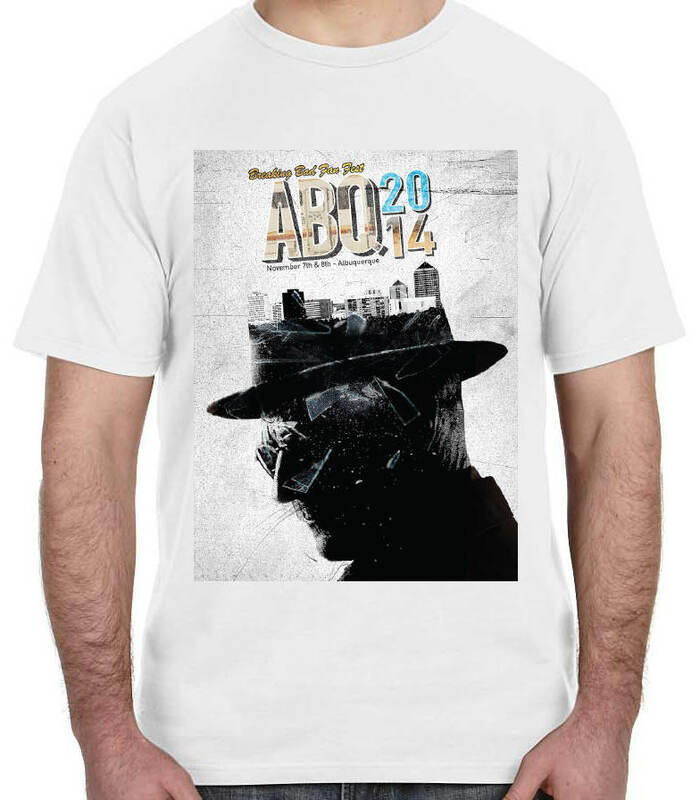 Please email for international shipping rates breakingbadfest@gmail.com. This book weighs approximately 2 lbs. Anvil 980 brand premium quality T-shirt made of 4.1 oz soft ring-spun cotton. Image by artist Nick Head. $3.75 s/h US only. 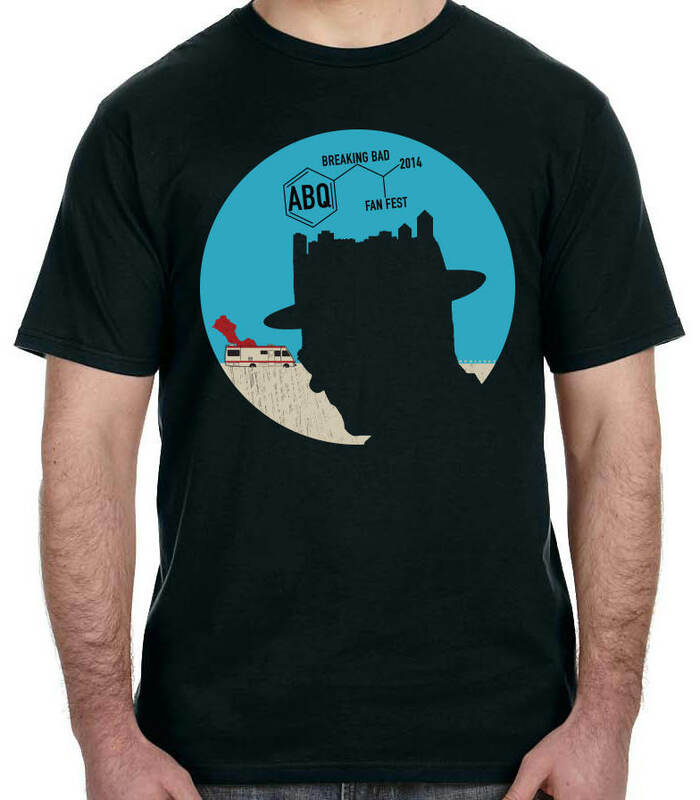 Please email us for international shipping rates breakingbadfest@gmail.com. Anvil 980 brand premium quality T-shirt made of 4.1 oz soft ring-spun cotton. Image by artist Nick Head. $3.75 s/h US only! Please email for international shipping rates breakingbadfest@gmail.com. DTG image of our official Fest poster on an Anvil 980 brand premium quality T-shirt made of 4.1 oz soft ring-spun cotton. Image by artist Nick Head. Sorry, Ls, XLs and XXLs all SOLD OUT. $3.75 s/h US only! 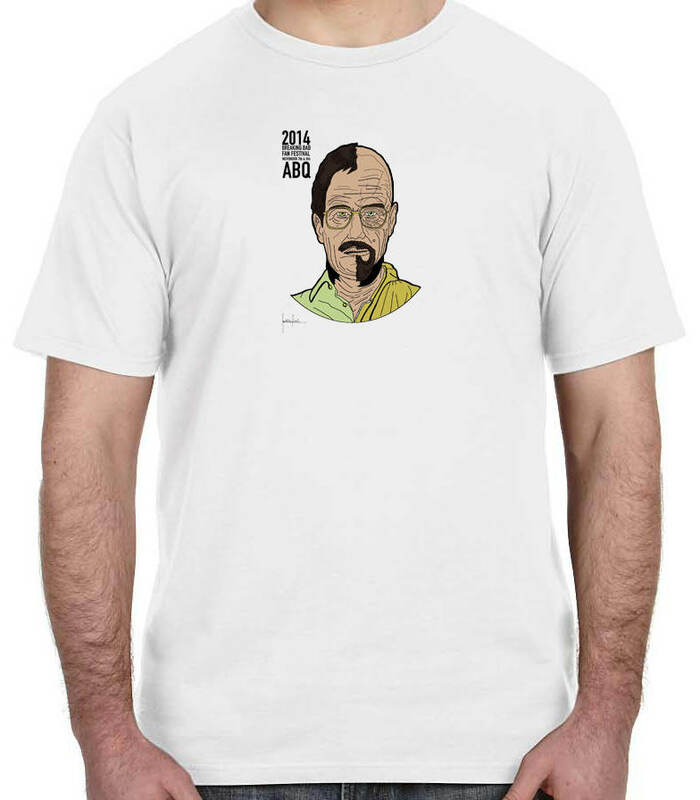 Please email us for international shipping rates breakingbadfest@gmail.com. Stobie Studios Print 12x12--Only 2 left! 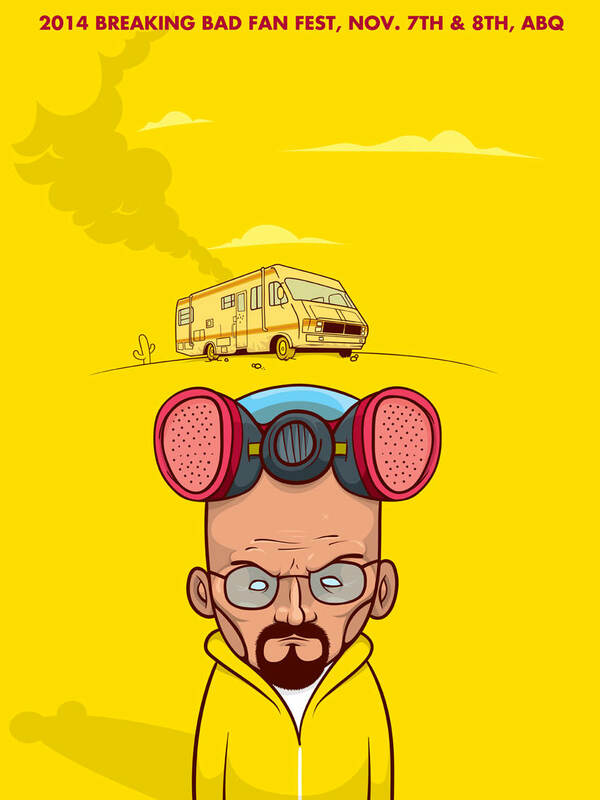 EXCLUSIVE 2014 Breaking Bad Fan Fest LUKAS STOBIE PRINT (12”x12”)-- Lukas Stobie is an Australian Graphic Artist based in Japan, known for his creative fandom designs including Super Breaking Bad, which was released in May 2013 at Design Festa and featured 98 characters from Breaking Bad. 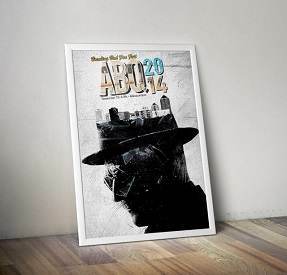 Exclusively for the 2014 Breaking Bad Fan Fest, the artist has created a brand new design, Super Breaking Bad II, featuring an updated Breaking Bad World depicting various cook sites. Very limited quantity! Shipping to US only. 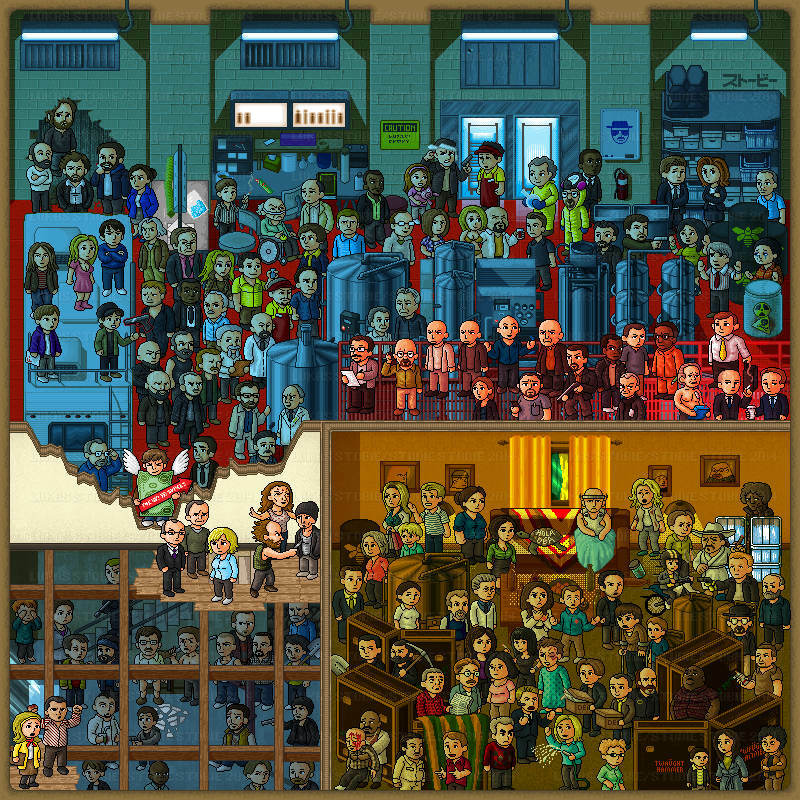 An 18" x 24" 2014 Breaking Bad Fan Fest poster by artist Rafael Maggessi of Brazil. $3.75 shipping to US only. 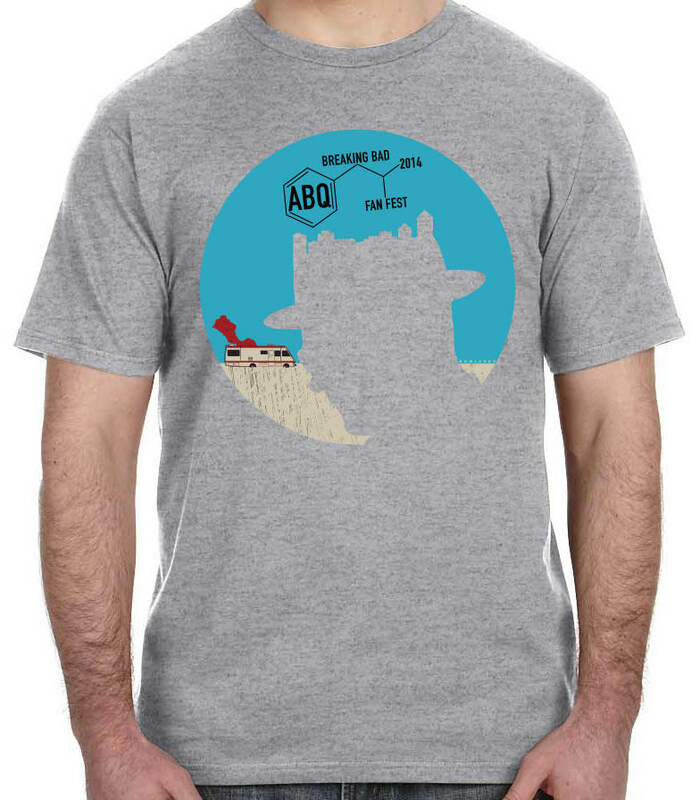 Please email us to ask about international shipping breakingbadfest@gmail.com.